Another stunning Komatsu model from 1st Gear. I have driven the HD605-7EO and dash 8 before and all of the detail is accurate to the real truck. Features are quite good too. Dump body lifts to an accurate height, debris bars between the dual wheels swing freely, decent range of steering, and accurate bed liner detailing. 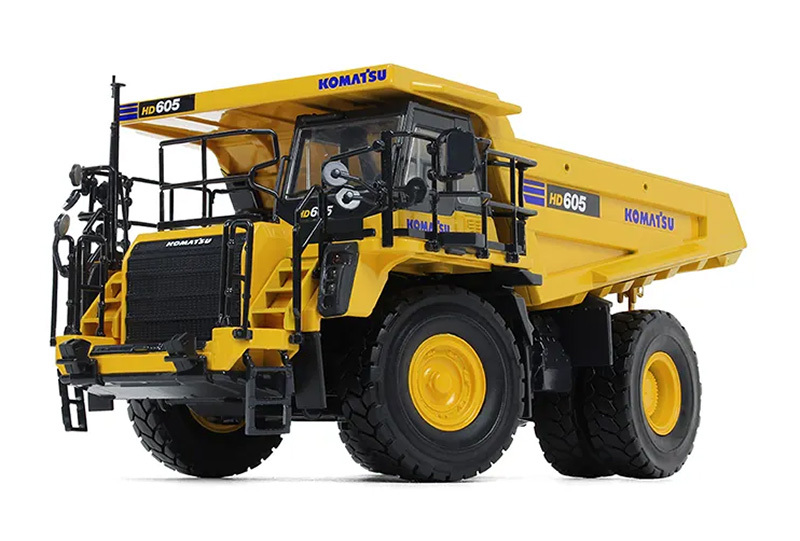 Looks particularly nice paired with a large class Mining loader such as the Komatsu WA600 and Cat 988. Very impressed with this new haul truck model. Keep up the good work First Gear!